Three of my grandchildren – boys ranging in age from 3 to 5 – are getting geared up for Halloween, it should go without saying. It’s a great observance for that age group, when ghosts really do exist, and goblins…well…I’m not really sure what goblins are myself. But they go with ghosts, that’s for sure. The older two of these three children, twins, are in kindergarten now, where the real world outside their own home exists with all of its variety. Accordingly, they are learning through their new friends certain Halloween sayings that have not been part of their own Halloween upbringing. Thus, they have adopted, or at least mentioned, a new phrase for begging for candy on Halloween night: “Trick or treat, smell my feet.” They have taught this to their younger brother, of course, one of the benefits, or liabilities, of being the youngest. Really, what is the world coming to? “Trick or treat, smell my feet.” Is nothing held sacred these days? Their parents have admonished them for such a vulgar utterance, and we – their paternal grandparents – have warned them that their neighbors might not give out the goodies if the boys beg with that slogan, but to not-much avail. “Trick or treat, smell my feet” apparently tickles the children’s funny bone, the way Captain Underpants captured the imaginations of children long ago – around 2004, before these boys were born, certainly – but yesterday in the minds of horror-stricken grandparents of that ancient era. Speaking of which (ancient eras, not Captain Underpants), I had my day in the harvest moon of past Halloweens, trick or treating through my childhood neighborhood. But we were GOOD children. No smell my feet. 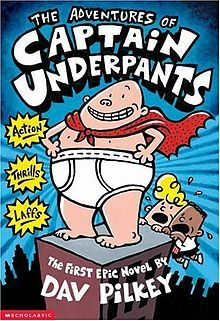 Certainly no Captain Underpants, or, if you will, the Bionic Booger Boy. Good, you won’t. We were enamored of Jack Armstrong, the All-American Boy, and his ilk, and look how well we ran the country once we grew up. Just think how clean cut we were in those days. Begging for soap on Halloween. Unfortunately, the soap was not for personal hygiene (we weren’t THAT goody two shoes). It was a threat that if they didn’t dish out the candy, we would soap their windows. Smearing dry soap on windows is an irritant, forcing the resident to wash those windows sometime before the hard freeze or Christmas, whichever comes first. It was an empty threat, though. We didn’t even carry soap, except for one year when we targeted the home of a really nasty neighbor who wouldn’t even answer the door on Halloween and chased us out of his yard on every other day if we trespassed. He would not forgive us our trespasses, just as we did not forgive his, come Halloween. So we soaped him. But it might surprise some to learn that a bar of dry soap, say 99 and 44 one hundredths percent pure Ivory, doesn’t really make very good marks on windows at all. We should have used Fels Naptha. Growing up, I longed for the old days of Halloween pranks described by my parents, the most prominently mentioned being the tipping over of outhouses. There were plenty of outhouses in Duluth in the 1920s and, I’m sure, ‘30s. I have it on very good authority that there were still 900 outhouses in Washington, D.C., in 1939, the year I as born, and adopting the role of Major Diaper. By the time I aged a bit and made it to the Halloween rounds, though, there were no outhouses in our neighborhood to tip over, so we made do with soap, which we used only that once. I’m a Halloween prankster failure, looking back on it. Back in the future, I look forward to seeing these three grandsons on Halloween, and hope their parents have persuaded them to beg with something other than “Trick or treat, smell my feet.” Or if they do, I hope their neighbors will forgive them their trespasses, just as we forgive those who trespass against us. Well, almost always. On Sundays at least. And All Saints’ Eve. If you're up and at 'em tomorrow morning, tune into Minnesota Public Radio Morning Edition with Cathy Wurzer between 7-9 am. (It's 100.5 on your FM dial in the Duluth area and may be somewhere else on the dial where you live.) 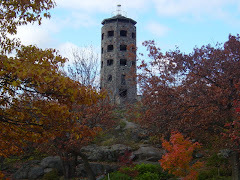 Dan Kraker, local reporter for the Duluth station, interviewed me and others about Monday's visit to Duluth by King Harald V and Queen Sonja of Norway to, among other things, re-dedicate Enger Tower. As you know, I used a little tongue in cheek as I reflected on this visit in the spirit of the old rivalry between the various Scandinavian cultures of long ago. Kraker takes a look at how the city is responding to the royal visit, including my two cents. 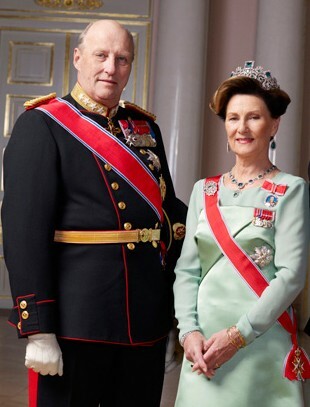 I’m happy for all of the local Norwegians that King Harald V (motto: “Alt for Norge!”) and Queen Sonja of Norway are visiting Duluth next week. Of course there will be no living with them after this (the locals, not the king and queen). If you thought (you think, don’t you?) the local Norwegians were an uppity bunch before this visit, well, what do you suppose this royal invasion will do to them? Oh well, we’ll just have to live with it, for how long we don’t know. I think maybe until the second coming of You Know Who, but what do I know? I’m only a half-baked Swede calmly taking it all in from a well-calculated distance. At that very same time here in Duluth I was living in the yellow house in the West End with my Swedish mother (and Irish-German father and brother), where we entertained guests as well, including my Uncle Win (not short for Winston, but rather Winfield), who could imitate almost any European accent, especially Scandinavian, including, of course, Norwegian. What a stitch. So you can see King Harald and I have some things in common, nationality not being one of them, but that’s OK. My Scandinavian heritage is on the Swedish side of the Baltic Peninsula where today good King Carl XVI Gustaf and Queen Silvia hold forth on the throne and Greta Garbo is still dead. Oh, how I long for the day that King Karl Gustaf (they usually leave off the Roman numerals in second reference, Italy being so far away) and Queen Silvia would come to Duluth and rededicate, well, let’s see, oh, rededicate the Svithoid Hall in the West End, where local Swedish folk used to dance the schottische on Saturday night and deny it on Sunday in the Lutheran church. 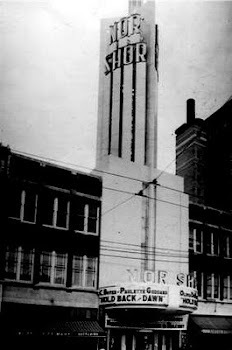 It’s upstairs of that auction place on 21st Avenue West and Third Street, across from a vacant lot that could use a little sprucing up (attention Mayor Don Ness). 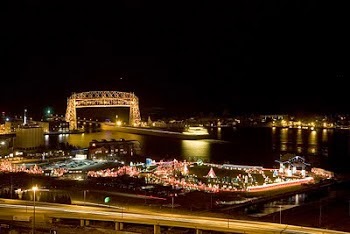 Now that would be a red-letter day in Duluth. Addendum: Hey, I’m kidding, OK? 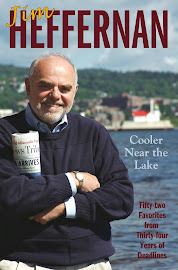 I used to write newspaper columns about the competition between Duluth Swedes and Norwegians. This is in the spirit of that.